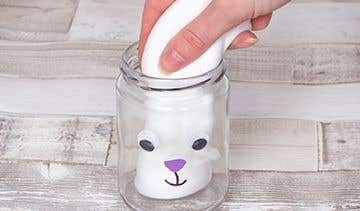 This Lamb Slime Jar is a fun craft to make this Easter, and it is perfect for storing your matching slime. Yes - The slime is formed by a chemical reaction between the polyvinyl alcohol (PVA) in the glue and the borate ion from the boric acid in the contact lens solution. We therefore recommend that the recipe is not altered, as the chemical reaction needs these ingredients to work. Please make sure that the making of the slime is supervised by an Adult. After making / playing with the slime we recommend that hands are thoroughly washed. This Slime is not edible. If your child has any allergies, please make sure you check the ingredients of each of the components. If any signs of reaction appears on the skin, please wash thoroughly and stop use immediately. If in doubt, please seek medical advice. Pour approximately eight tablespoons of PVA glue into your bowl. Then squirt some shaving foam into your mixture, approximately half the amount of the glue, and mix it in with the spoon. Then add a teaspoon of baking soda and mix it again until it is smooth. Add one tablespoon of contact lens solution to your mixture and stir. Your mixture should begin to stick together. Continue to add more contact lens solution until the slime is no longer sticking to the bowl. 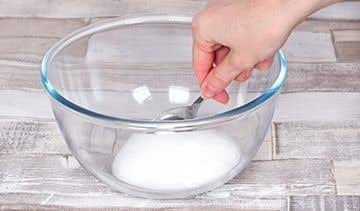 Take the slime out of the bowl and knead and stretch it with your hands until it is no longer sticky, adding more contact lens solution if necessary. 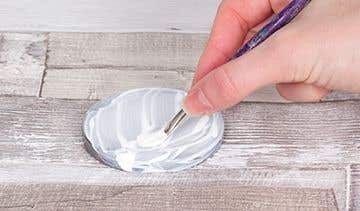 Paint the jar lid with white paint and leave to dry. Add another coat of paint if needed. 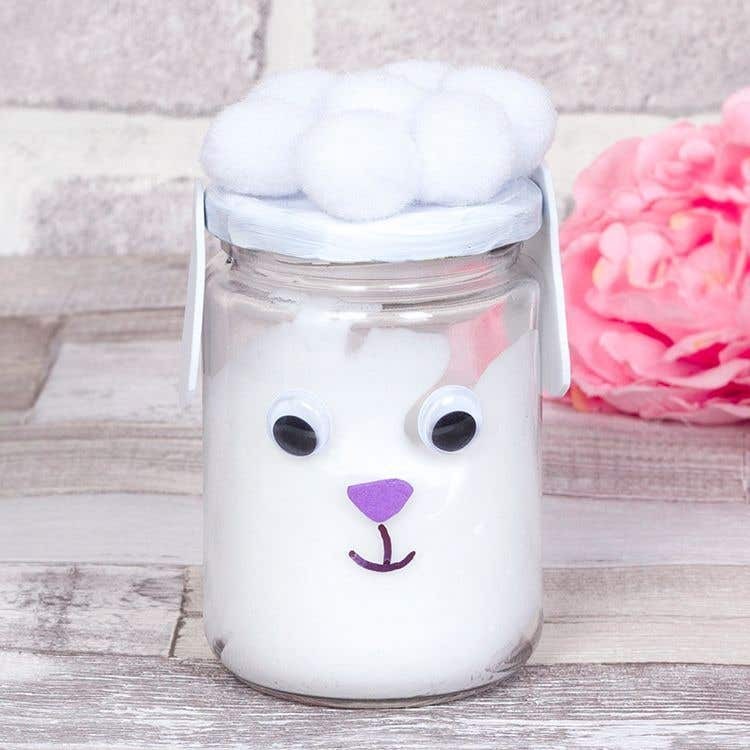 Stick two wiggle eyes and a purple foam nose to the front of the jar using glue dots. Use a black glass pen to draw a mouth for the lamb underneath the nose. Stick some white pom poms to the top of the jar lid. Cut out two ear shapes from a grey sheet of foam. Use glue dots to attach the ears to the sides of the lid. If the slime is too sloppy, try adding some more glue.